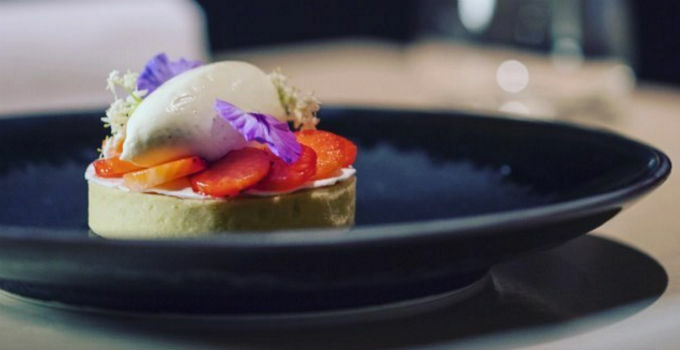 Proving once and for all that fine dining doesn’t have to break the budget, the staff at the newly opened Allium in New Farm are on a mission to make sure that exceptional food isn’t just reserved for special occasions. The brainchild of Chef James Gallagher (and his wife Kylie) who previously manned the pans at Sofitel’s Prive 249, the newest addition to the New Farm food scene is serving up fine dining quality food and service, at casual prices. The a la carte menu could be described as modern Australian, with classic flavours given continental and creative flair. 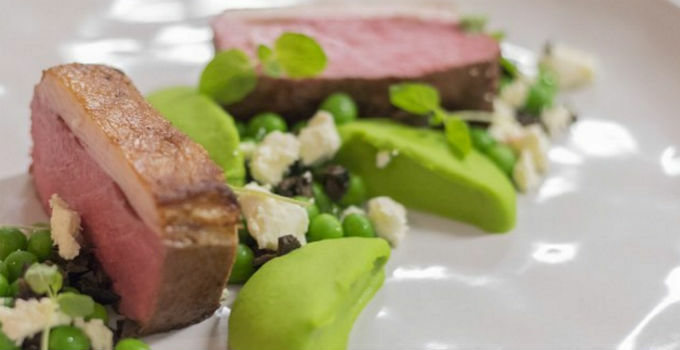 Be prepared to salivate over chicken liver parfait with passionfruit, lamb loin with Persian feta and mint, slow cooked pork neck with carrot and orange, and butternut squash tortellini with walnut pesto to name but a delicious few. The real attraction, however, is their incredible tasting menu. While other venues are offering degustations for $200 a head, it is certainly hard to pass up an offer of 6 courses for $85, with the courses selected from their a la carte menu. As we discovered for ourselves, 6 generous courses quickly turns into 9 with the inclusion of an amuse bouche, a palate cleanser and petit fours, and wine lovers will adore the additional offer of matched beverages for $50. A degustation where you get to leave with both an impending food coma as well as money left in our bank accounts – it’s almost too good to be true! We certainly couldn’t resist, and ate our way through the following. A medley of textures and flavours coupled with plenty of crunch and a slight sweetness from the raisin, this was an eye opening appetiser for sure! This very pretty salad involved beetroot done three ways (pickled, roasted and puréed), with a silky smooth curd and lightly seasoned roasted oats for plenty of crunch. We were thankful course 1 was mild because course 2 literally exploded in the mouth with the tangy freshness of green apple sorbet, lightly cured kingfish, crunchy cucumber and green apple pieces. No wonder this is the chef’s favourite – this will be the dish that will have all the foodies talking! Cauliflower both purée and fried with beautiful seared scallops seemed rather mild and creamy on the palate until we took a bite of the capers which completely transformed the flavour into bold and acidic – a tasty surprise indeed! The only thing that could make this fancier version of fish and chips with a John Dory and a hint of malt better would be if you could take it to the beachfront to eat it. Like us, at this point you’ll wish you wore stretchy pants. The generous wagyu looked just like steak and onion rings with a high class makeover. Textures of onion with a medium rare steak, thick glaze and miso eggplant puree will have even the vegetarians second guessing their life decisions. It may sound absurd but don’t knock it until you try this wonderfully refreshing combination of lemon, crunchy meringue, granita and a sneaky hint of aniseed.